I thought I had posted these photos for my friend Leon...last fall. As it turns out Addison was in the hospital when I got them and I was very preoccupied with him and then it was Thanksgiving, and then I had the flu and then it was Christmas... and the girls informed me the other day that I had never done this. Ooops. So last October Susan came to do our annual family photo shoot. Samuel asked if we could do some band pictures, which I think came out wonderful. I was planning on sharing them with our friend Leon, who is also the supplier of all our kids instruments. A little plug for our friend who owns SVINTAGE . We met Leon two years ago when our six oldest children decided to join the orchestra. They all had varying experience on the piano but none had any experience with band instruments. Two days before the first orchestra meeting we went to the music store. At that point some had an idea of what they might like to try playing but most had no clue what they would leave with. We stood at the counter and they looked up at the display behind the register and chose an instrument. Yes, just like that. 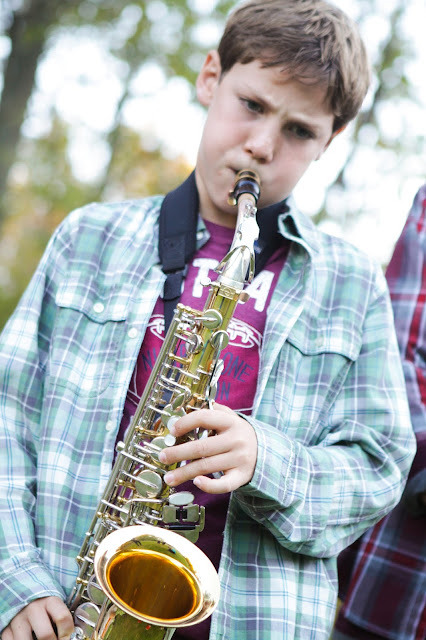 Samuel, of course, chose the saxophone. 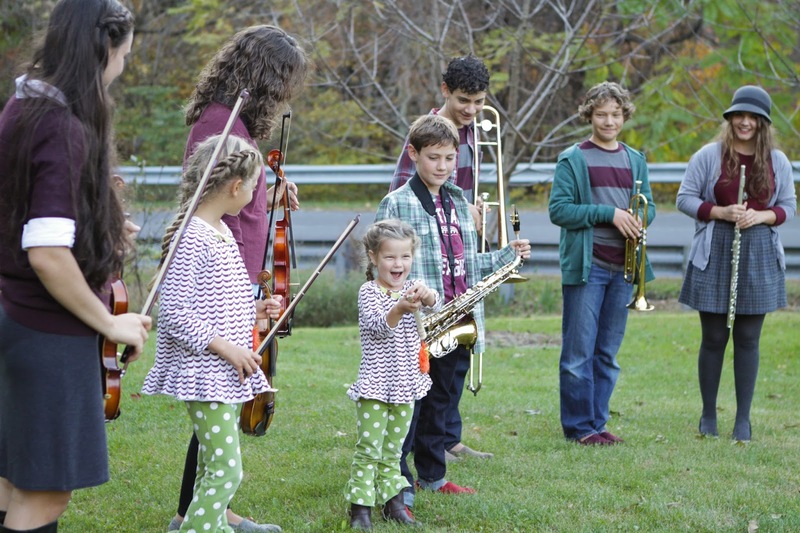 So renting instruments, times 6 kids, is really expensive. We quickly pulled in all those home school skills to realize we could buy them outright in a year and have something to show at the end of all those crazy monthly payments. Except, the instruments we would get for that price were the lowest quality at the music store. I have been buying and selling on eBay since they opened so I didn't waste much time before I started researching the cost of better quality instruments. I literally knew not one thing about buying a new instrument, never mind a used instrument, never mind sight unseen. And I could have very easily been taken advantage of. 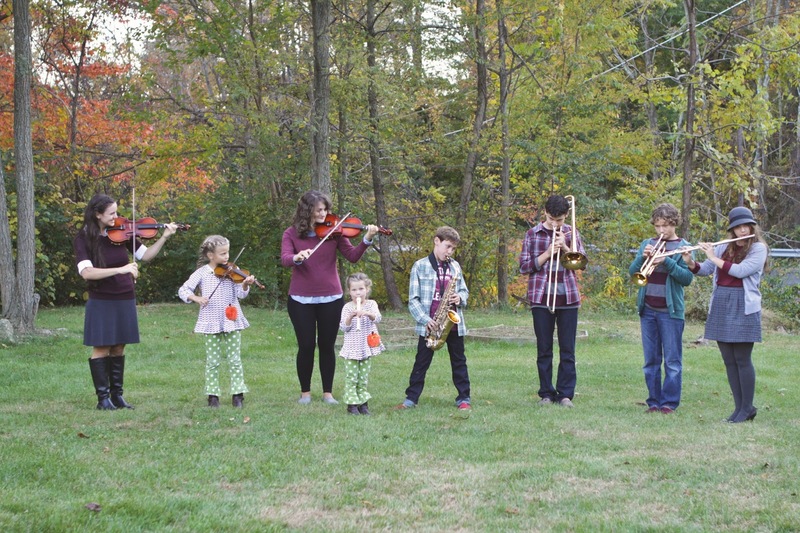 I started by sending out a bunch of inquires for the identical instruments the kids were renting from Music and Arts. I figured since I knew those were acceptable beginner instruments and I knew what Music and Arts charged I had something to go on there. In my inquiry I said pretty much what I just told you. I know NOTHING and I need 6 instruments. And I want to pay a fair price, but we are not independently wealthy. Leon wrote back very quickly and very patiently answered many of my questions and in doing so taught me about the various instruments my kids were playing. 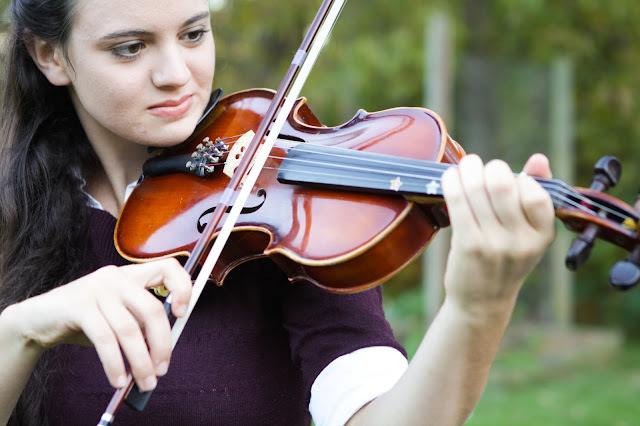 For instance a cheap violin with good quality strings sounds much better than a good violin with cheap strings. 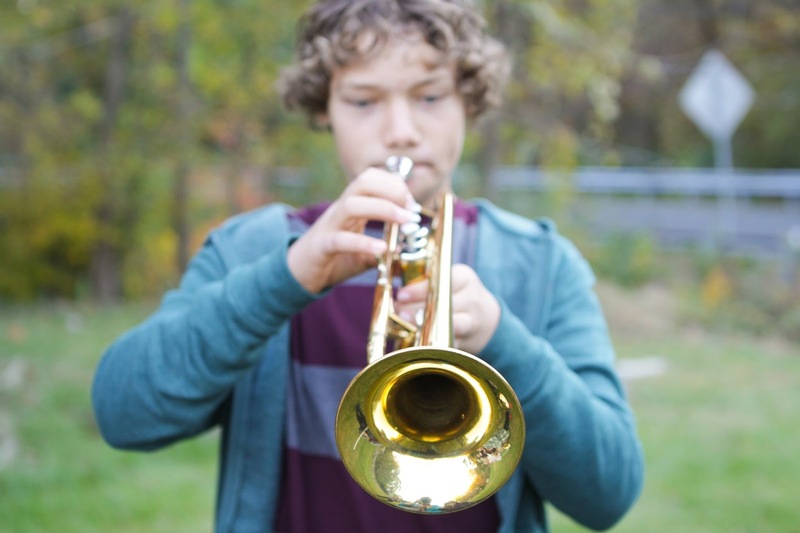 I also learned that a ding in the bell of a horn will not affect the sound but always ask if the valves are functioning correctly and if the slide is stuck. He was so kind and so helpful! And he could have seriously ripped me off. But he didn't. 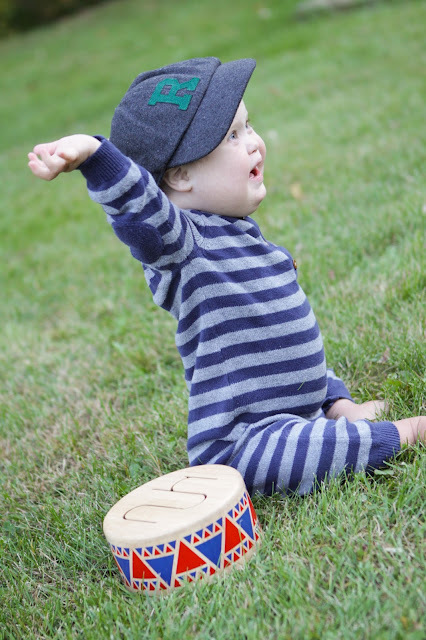 He helped me choose good quality instruments for each of the kids. As someone who has spent his life restoring instruments he also helped me to find the horns he didn't have from other sellers. And he took the time to do things like upgrade the girls violins to professional strings. When they arrived the kids were thrilled. Even my untrained ear could easily hear the difference between the violins and those we were renting from Music and Arts. But just to be sure... we had become friendly with several employees at the music store. We took their instruments in and asked two salesmen (one who knew strings and one who knew horns) to take a look and let us know if we had something good or if we should return them. We were told on all accounts we had done very well. I therefore had no qualms about returning to Leon when Elisabeth took up violin and we needed a clarinet a while later. And if that is not testimony enough to what good people we happened upon. 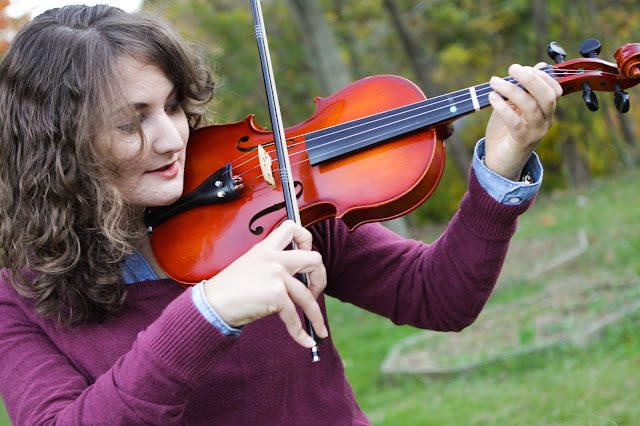 Last fall Emma won a scholarship to study violin at the local community college. She is working with an amazing instructor. After a while Dr. S suggested Emma try the viola. She did. She loved it. We emailed our friend Leon and let him know we were in the market. When Emma mentioned this to her instructor Dr. S said she was not comfortable with buying from an online seller and sent back links to the beginner violas at Music and Arts. Emma explained we have a history with this seller and we would be dealing with him. We went with Leon and spent more than $100 less than the one her teacher recommended. And we got a much nicer upgraded viola. Emma took it to her instructor and explained we have 30 days to return it and what did she think??? Dr. S concurred with what we already knew, it was a very nice viola. Bottom line if your kiddos are considering joining the school band, send an email to Leon at SVintage and tell him Kathleen sent you. So that was a really long rabbit trail to say here are photos I thought you would enjoy, my friend. Thank you, again! Often after dinner the kids will head to the basement and play together for an hour... or three while we get the little ones in bed. I love this photo because this is about what it looks, and sounds like. And if you don't know what that means... well, I just couldn't explain it. Sam was made for the saxophone. What he lacks in ability, he makes up for in presence. Elisabeth working along on the violin. She doesn't have formal lessons but enjoys learning from her sisters. Emma my violin, turned viola player. Her steadiness has always, and will ever be, her strength. Brianna has a love/hate relationship with the violin. I love to hear her stories when she comes home from lessons. 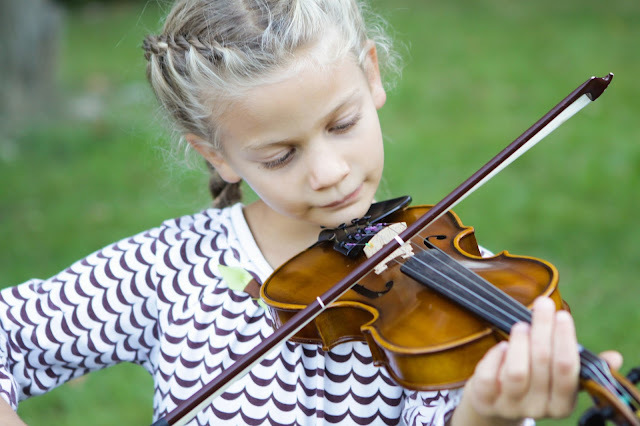 I adore the fact that she is certain she has no hope of ever mastering the violin (which I don't think is true) and yet she pours so much love and effort into it. 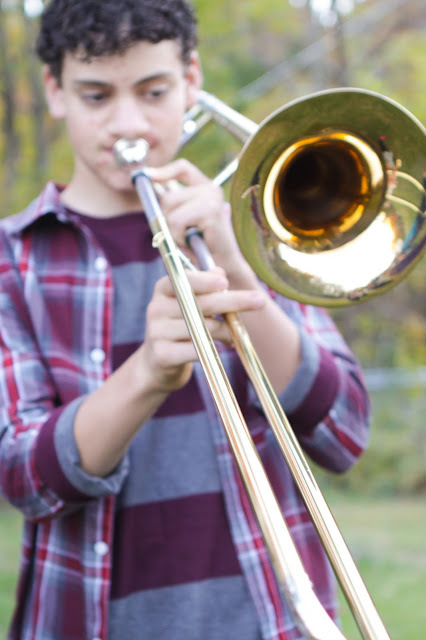 Nathaniel has flourished under the tutelage of his trombone instructor. In addition to be an amazing musician (this guy knows his stuff) Alex has been a good friend and mentor to Nathaniel. We are so sorry to be losing him when he moves to Florida in a few weeks. 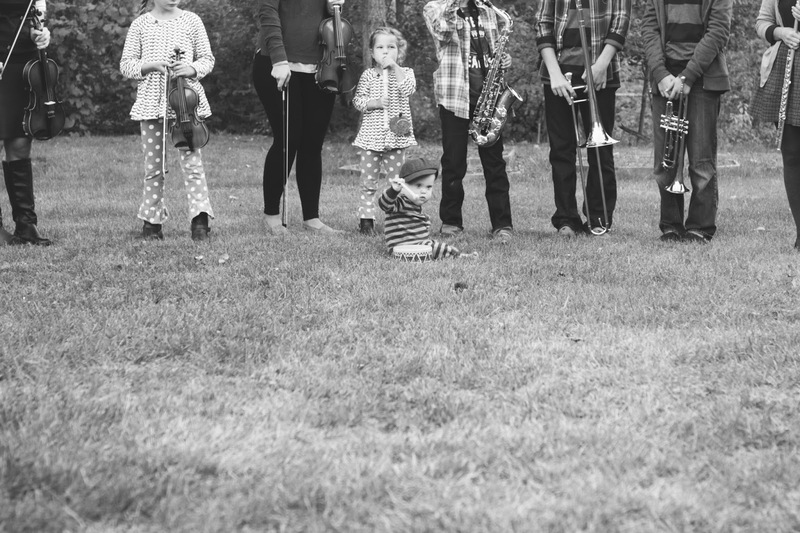 Aedan has been tinkering around with the clarinet in addition to his formal trumpet lessons. This month he will officially be adding clarinet to his repetoire. Our neighbor, who was a good will junkie, brought the kids a guitar last summer. 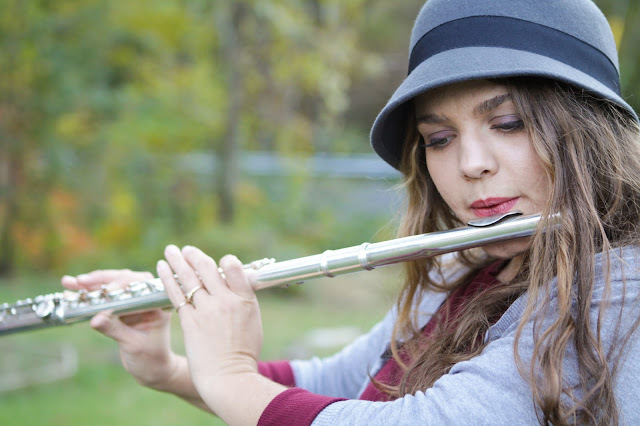 Kaitlin has been teaching herself how to play that in addition to learning the flute. 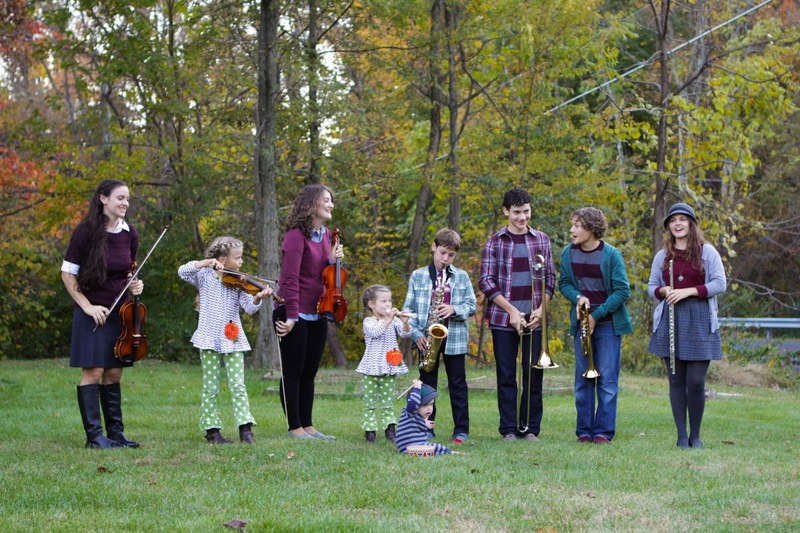 It has never been my intention that the kids would be renowned musicians, but that they would enjoy playing, praise the Lord with their music and bless others in some small way. And that they do. Besides which, I happen to think they sound rather good. These last few years, music has been wonderful therapy through some very stressful times. I am so grateful for the gift of music. Brianna has an inspiring attitude. After playing the violin for many, many years, one would think my skills would shine. Not so. I was good enough, and that was enough for me. One of my most memorable moments was somewhere around the age of 12-14 when I played The Little Drummer Boy before the church. I was so nervous. But I did it, and I know the Lord was blessed!